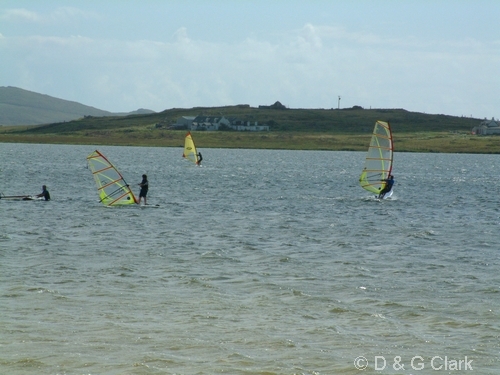 The islands of Tiree and Coll lie in the extreme north west of Argyll at the south end of the Minch. Both islands are around 20 km long and 5 km wide, are rather flat and oceanic in nature, and are separated by the 800m wide Gunna Sound. 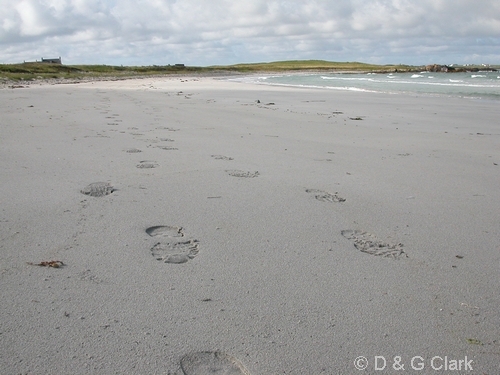 Shell-sand has blown over much of Tiree and the west end of Coll to form extensive herb-rich machair grasslands. These grasslands are grazed by cattle and sheep, and this traditional low intensity agriculture adds much to the biological richness of both islands. The machair lands and adjacent wet grasslands and beaches host high densities of breeding waders such as Lapwing, Oystercatcher, Ringed Plover, Snipe and Redshank, as well as Twite, Skylarks and huge numbers of Starlings, whilst the in-bye areas that are cropped for grass in late summer are home to over one third of the UK’s Corncrakes. 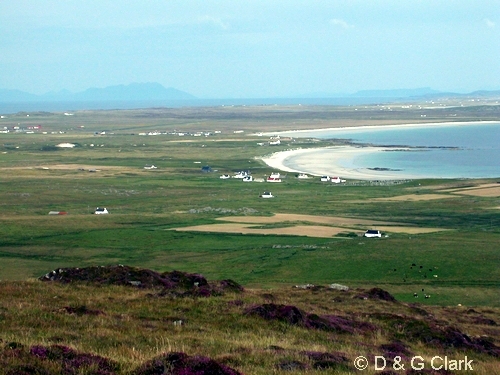 The flatter convoluted coastline of Tiree holds internationally important numbers of wintering waders such as Turnstone, Purple Sandpiper and Sanderling, whilst the large machair lochs such as Loch a’ Phuill and Loch Bhasapol are home to important assemblages of breeding and wintering wildlfowl. Both islands host Internationally important numbers of Greenland White-fronts and Greenland Barnacle Geese in winter, together with large numbers of resident native Greylag Geese. 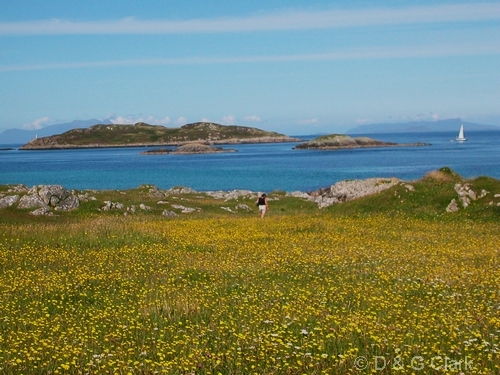 Coll has more in the way of deep heath, particularly NE of Arinagour and these areas hold such scarce breeding birds as Arctic and Great Skuas, Merlin and Short-eared Owl with Red-throated Divers on the lochans, which are all absent as breeding birds from Tiree. Tiree has three main hills at the west end, the highest being Ben Hynish (141m), whilst the cliffs of Ceann a’ Mhara holds a classic Atlantic seabird colony with large numbers of breeding Guillemots, Razorbills, Kittiwakes, Shags and Fulmars. 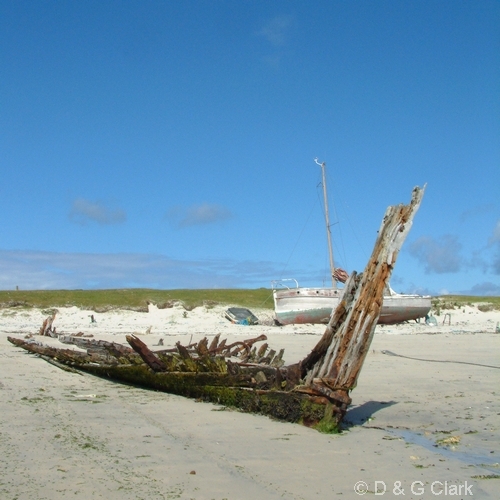 Whereas Tiree is essentially treeless, Coll offers more in the way of sheltered spots for the odd plantation and bushy garden and these hold a few additional breeding woodland birds, such as Robin, Dunnock, Goldrcest and Lesser Redpoll, as well as Grey Heron. Both islands lie on major migration routes between the Arctic and more southerly wintering sites and can be alive with passage birds in spring and autumn. Increasing scrutiny in recent years has revealed the regular presence of scarce and rare birds, particularly in May and September-October. 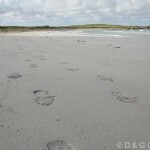 Habitat: White shell sand beaches, sand dunes and machair grassland. Birds of interest: Greenland White-fronted Goose, Barnacle Goose, Great Northern Diver, Manx Shearwater, Hen Harrier, Merlin, Corn Crake, Sanderling, Dunlin, Lapwing, Common Redshank, Purple Sandpiper, Turnstone, Arctic Tern, Little Tern, Razorbill, Common Guillemot, Stonechat, Grasshopper Warbler, Twite. 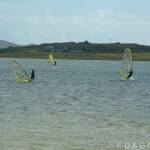 Habitat: Wide shallow bay with sandy beach. Birds of interest: Long-tailed Duck, Great Northern Diver, Ringed Plover, Grey Plover, Sanderling, Dunlin, Purple Sandpiper, Turnstone. Habitat: Large sandy bay in east of the island, with muddier south-west corner. Birds of interest: Brent Goose, Common Shelduck, Great Northern Diver, Ringed Plover, Sanderling, Dunlin, Red Knot, Bar-tailed Godwit, Eurasian Curlew, Turnstone, gulls, Arctic Tern, Little Tern, Northern Wheatear. 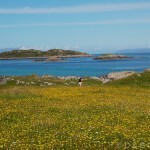 Habitat: Large freshwater machair loch in SW Tiree. Birds of interest: Mute Swan, Whooper Swan, Greenland White-fronted Goose, Greylag Goose, Eurasian Wigeon, Gadwall, Eurasian Teal, Pintail, Shoveler, Tufted Duck, Greater Scaup, Common Goldeneye, Peregrine Falcon, Ringed Plover, European Golden Plover, Northern Lapwing, Red Knot, Curlew Sandpiper, Dunlin, Little Stint, Ruff, Black-tailed Godwit, Whimbrel, Eurasian Curlew, Common Redshank, Greenshank, Black-headed Gull, Kittiwake, Arctic Tern, Little Tern, Sand Martin, rarities. Habitat: Freshwater loch in west Tiree. Birds of interest: Mute Swan, Whooper Swan, Greylag Goose, Pintail, Tufted Duck, Red-breasted Merganser, Northern Lapwing, Ruff, Black-tailed Godwit, Common Redshank, Greenshank, Rock Dove, Sand Martin. Habitat: Freshwater machair loch with marshes and reedbeds in north-west Tiree. Birds of interest: Whooper Swan, Greenland White-fronted Goose, Greylag Goose, Eurasian Wigeon, Mallard, Shoveler, Tufted Duck, Pochard, Common Goldeneye, Merlin, Moorhen, Common Coot, Corncrake, European Golden Plover, Northern Lapwing, Common Snipe, Eurasian Curlew, Black-headed Gull, Arctic Tern, Sedge Warbler, Twite, Reed Bunting. 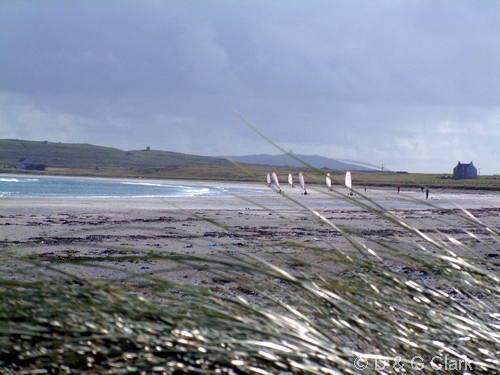 Habitat: Sandy bay in south-west Tiree with stream outlets at either end. Birds of interest: Brent Goose, Common Shelduck, Great Northern Diver, Merlin, Ringed Plover, Sanderling, Purple Sandpiper, Dunlin, Bar-tailed Godwit, Eurasian Curlew, Turnstone, gulls, Arctic Tern, White Wagtail, Northern Wheatear. 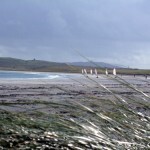 Habitat: Sandy bay, backed by dunes and machair. 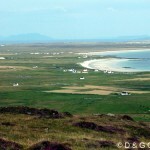 There is no access to The Reef itself, but the machair plain can be viewed from the road and dunes. Birds of interest: Greenland White-fronted Goose, Greylag Goose, Eurasian Teal, Mallard, Great Northern Diver, Hen Harrier, Merlin, Peregrine Falcon, Ringed Plover, European Golden Plover, Northern Lapwing, Sanderling, Dunlin, Common Snipe, Whimbrel, Common Redshank, Turnstone, Arctic Tern, Little Tern, Sky Lark, Northern Wheatear, Common Raven, Twite, Snow Bunting.